Favourites Brazil and Germany have won their respective groups in the preliminary round of the Fistball Women’s World Championship in Linz. Brazil maintained their perfect record in this International Fistball Association event as they earned a 2:0 victory over Switzerland, who then secured second place in the group in beating hosts Austria 2-0 in the last match of the day at the ÖBV Arena. New Zealand finished fourth in their group, one place above fellow newcomers Belgium, against whom they earned their first World Championship win, by 2-0. Like Brazil, defending champions Germany have yet to concede a set. They won their group after a 2-0 win over an Argentinian team that had won its first four matches in the group. Italy finished third, and the newcomers from Serbia and Poland were fourth and fifth. The Polish team earned their first World Championship win in defeating the Czech Republic 2-0. “We started really nervous in the first set and made many mistakes,” said Polish attacker Dominika Frydrych. “I’d say it was our worst performance in this tournament. “Fortunately, we eventually won the first set and managed to make quick points in the second set. “We won 11:4 and it was a great game. 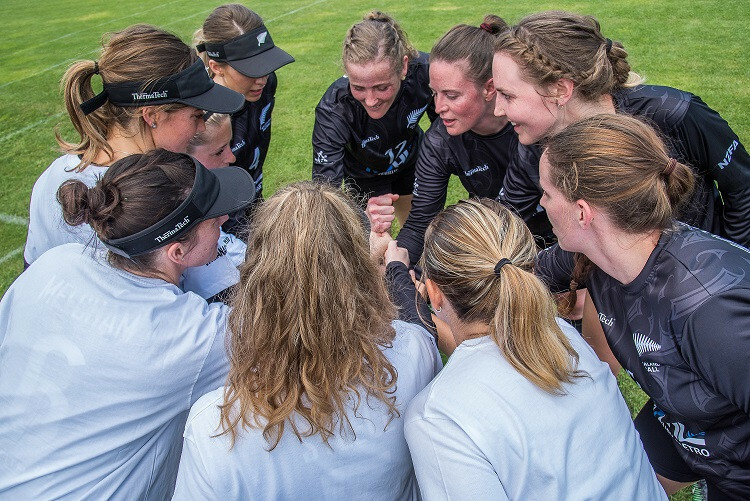 The IFA Fistball Women’s World Championship are due to continue tomorrow with 10 games, featuring the double elimination matches as well as the first two quarter-finals.